Stranger gives old woman an early Christmas present she will never forget - this heartwarming story will definitely restore your faith in humanity. 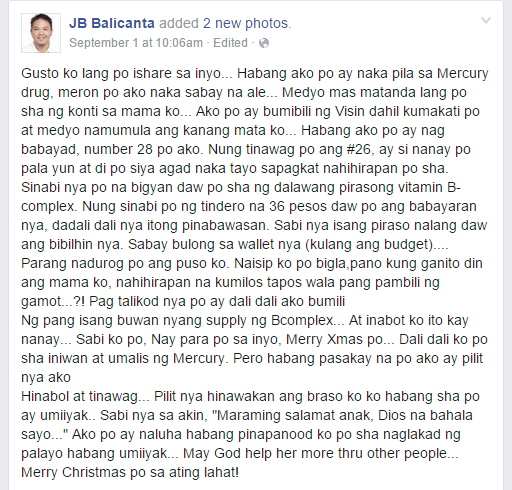 Last Tuesday, September 1st, rotarian JB Balicanta got an opportunity to help the less privileged when he bought Visine eye drops for his irritated eyes at the Mercury Drug pharmacy. He saw an old lady having a hard time standing while waiting for her turn. The woman wanted to purchase 2 pieces of vitamin B-complex, he said, but got short of budget so she only bought one for P36. JB's heart was crushed as a thought quickly came to his mind: What if it happened to his own mother? 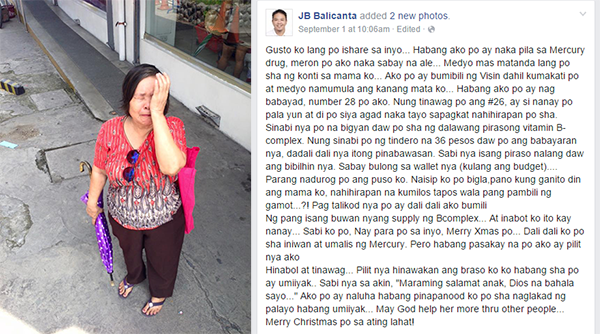 When the woman left the counter, he immediately bought a one month supply of vitamin B-complex and said "Merry Christmas po" while giving it to her. 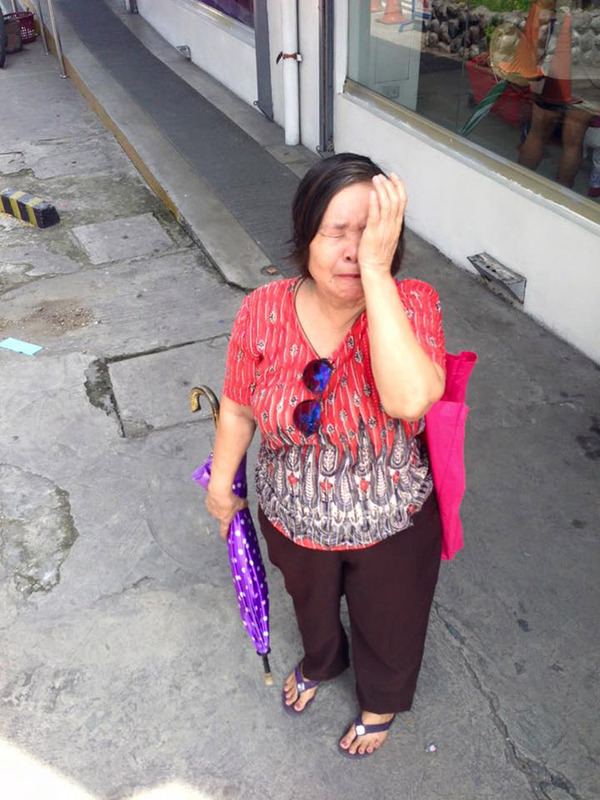 As JB was walking away, the old woman followed, called him and said in Filipino, crying, "Thank you son, may God bless you" and held his arm tightly. JB broke down in tears as they parted ways.